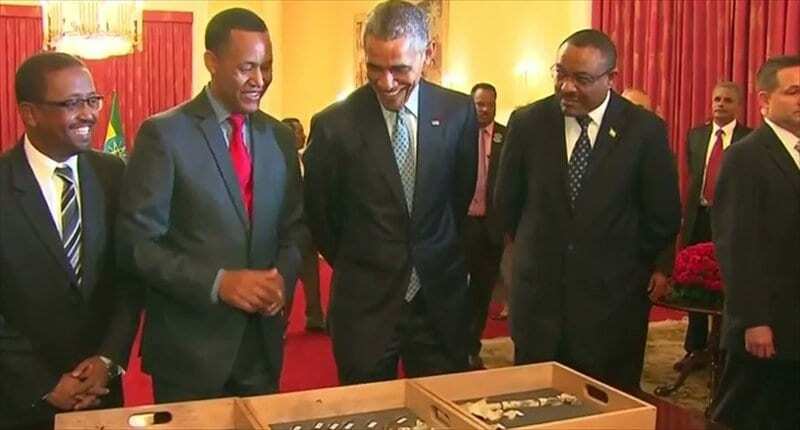 Zeray Alemseged met with President Barack Obama in July 2015 while the President was on a state visit to east Africa, including the first visit to Ethiopia by a sitting US president. 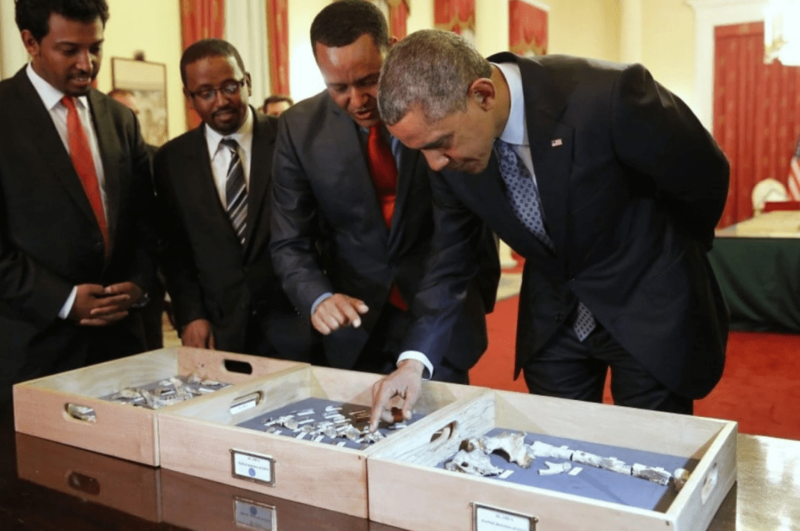 On a business trip to Ethiopia himself, Prof. Alemseged discussed the importance of hominin fossils such as “Selam” and “Lucy,” with those iconic skeletons present as their guides. 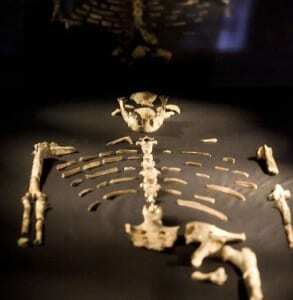 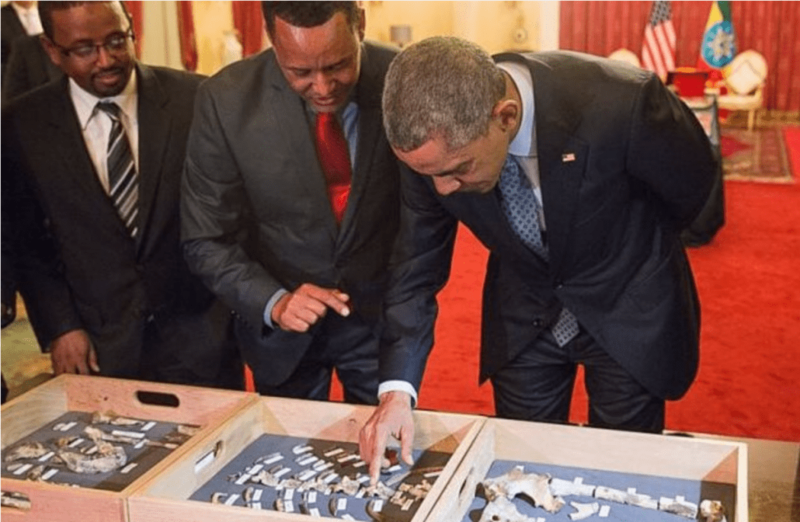 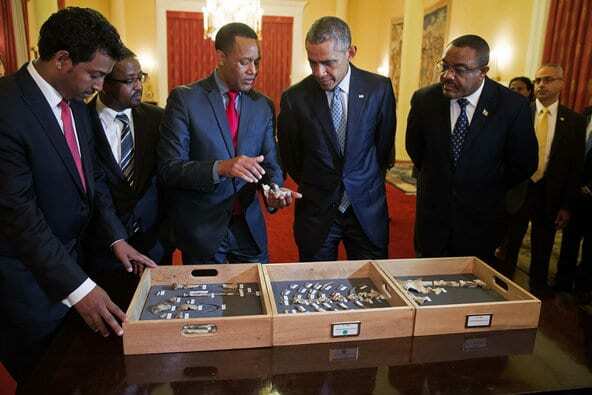 As a preeminent expert in human evolution and a native of Ethiopia, he was perfectly positioned to sum up the fossils’ importance to the President of the United States. See additional coverage of this historic meeting below.